During your Biltmore visit, don't miss the most visited winery in the USA! A fantastic wine tasting is included in your admission ticket, and you drive by it on your way out of the estate. Since it's open late (until 8 PM spring-fall and 9 PM for the holiday season), this is a perfect way to end the day. They usually open at 11 AM. 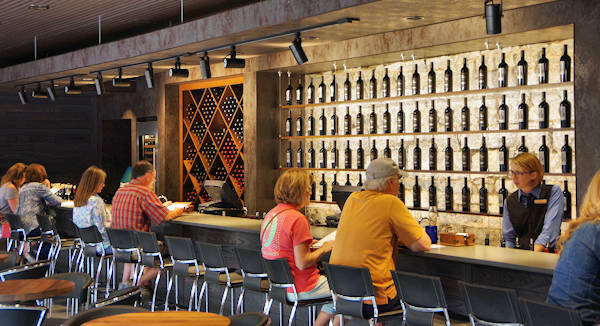 The completely renovated Tasting Room (photo at top) provides a personal tasting with expert guidance. Choose from 20 wines to sample, including Riesling, Chardonnay, Viognier, Cabernet Sauvignon, Cabernet Franc, and Merlot. Whether you're interested in sampling wines, learning more about wine making, shopping or just relaxing with some delicious food and wine, there's much to do! 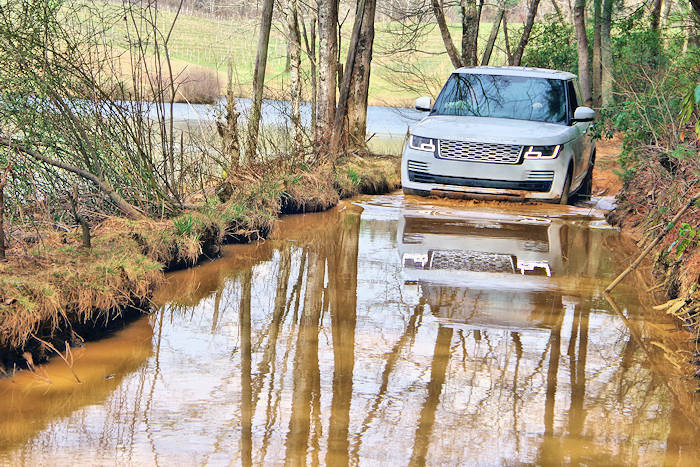 It's about 5 miles from the Biltmore House in Antler Hill Village on the estate. It's located adjacent to the Inn at Biltmore Estate and the Village Hotel. Begin the visit by taking a stroll underground through the historic cellars of the former Biltmore Dairy to the impressive tasting room. After your tasting, pick out your favorite wines in the shop to take home. 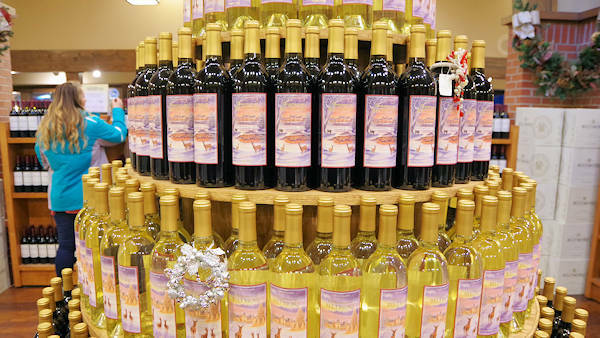 Tip: Get a 10% discount when you purchase 3-5 bottles, 15% on 6-11 bottles and 20% off on 12+ bottles. Taking home multiple bottles is easy with their free carriers that make great gift boxes. If you are a Biltmore Annual Passholder, you will save 10% on 1-2 bottles, 20% on 3-11 bottles, and 25% on 12 or more bottles. 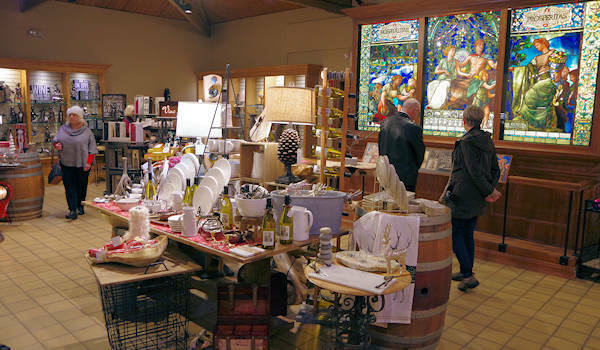 Browse gourmet foods, cooking accessories and gifts in the fantastic Wine Shop. Join the Vanderbilt Wine Club and get invited to wine-centric social events and receive many other benefits (including up to 25% off wines). Four times a year, receive three special vintages from the Club category of your choice: red, white, mixed, sweet. New for 2018 is a snazzy Wine Bar beneath the Winery clock tower with many wines by the glass, plus cheese plates and truffles. There's an outdoor area perfect for unwinding after a day of touring. 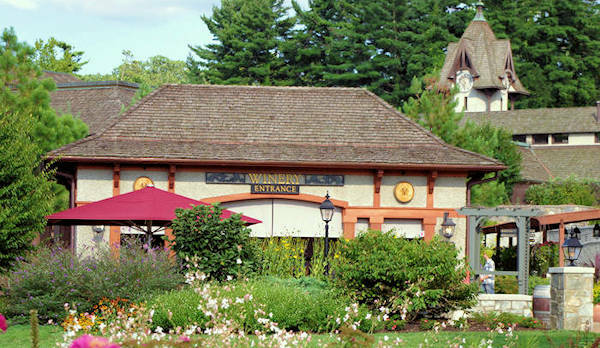 Adjacent to the Biltmore Winery is Bistro restaurant with a seasonal farm to table menu with an open kitchen and award-winning Biltmore wines. Sundays-Thursdays at 6 PM. Get a behind-the-scenes look at the traditional méthode champenoise. 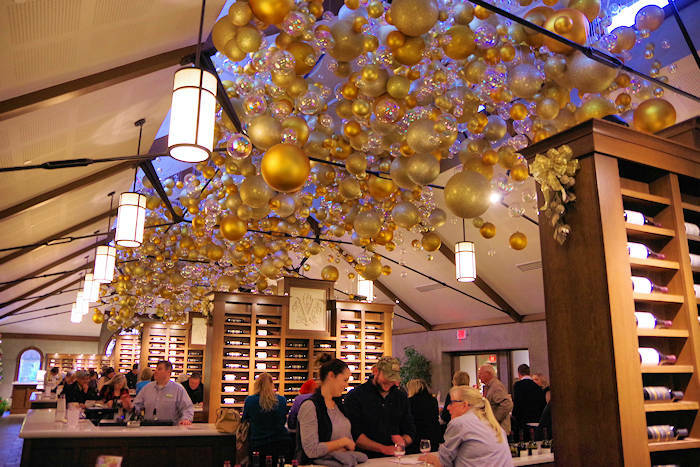 Then taste each of Biltmore's sparkling wines. 45 minutes. $25/person. 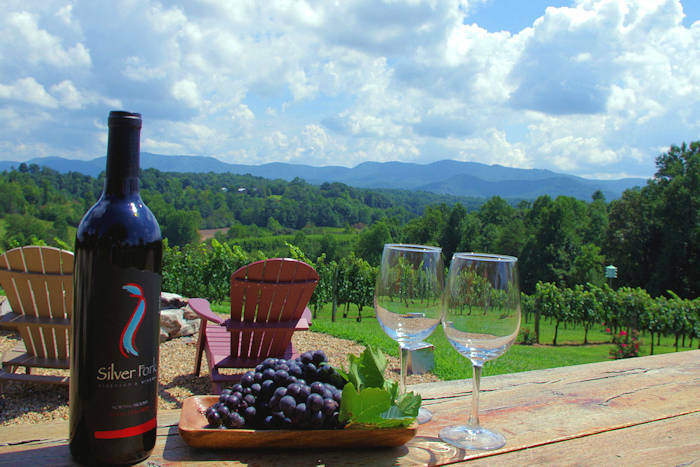 For a VIP tour of the vineyards and winery at Biltmore Estate, take their Vine to Wine Tour. The 2.5-hour tour is offered only in late summer and fall on Saturday and Sundays, May-October. 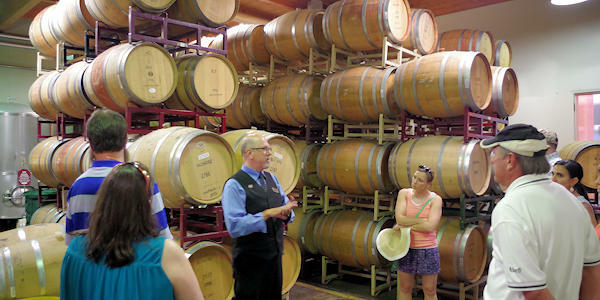 Sample specially selected award-winning premium wines throughout the tour, along with light bites. This is an adult only (21 and over) tour. Cost is $85/person (passholders save 10%), in addition to the estate ticket. Advance reservations are required. 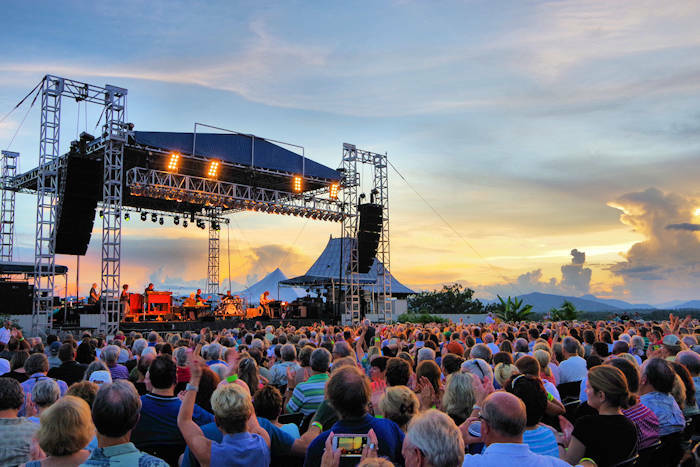 Call Biltmore at 1-800-411-3812 to book. 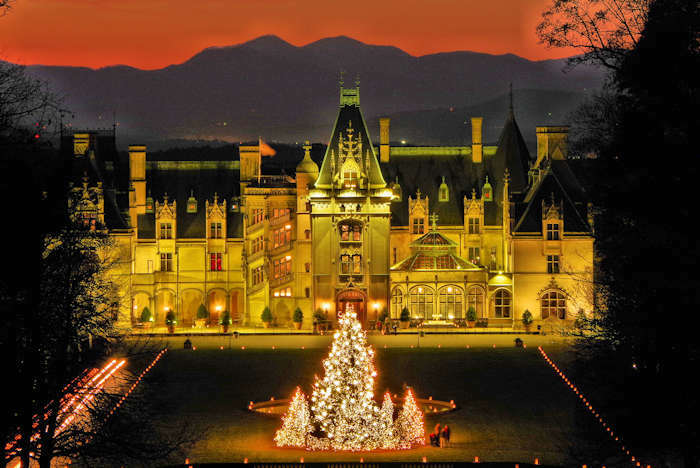 Go to the Biltmore Estate website for the latest info on special tours. 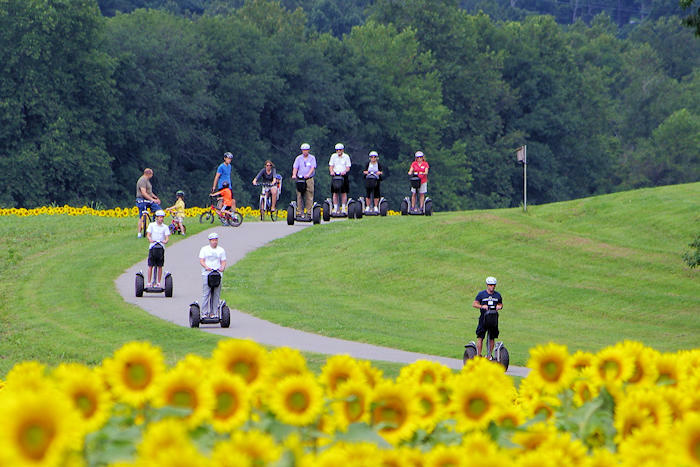 Biltmore annual passholders receive discounts on tours, dining and gift shop purchases. Feel free to ask your host questions about the wines and wine tasting. Wine tasting is a social activity, so feel free to talk about what you see, smell, and taste. Notice the clarity of good wines as you hold them to the light. Place your nose at the rim of the glass and inhale deeply to catch the wine's "bouquet." Hold the wine on your tongue a few seconds; then whistle in to take advantage of additional flavors released by exposure to the air. Notice the more full-bodied taste of red wines and the aftertaste that lingers in your mouth, a sure sign of a good wine.